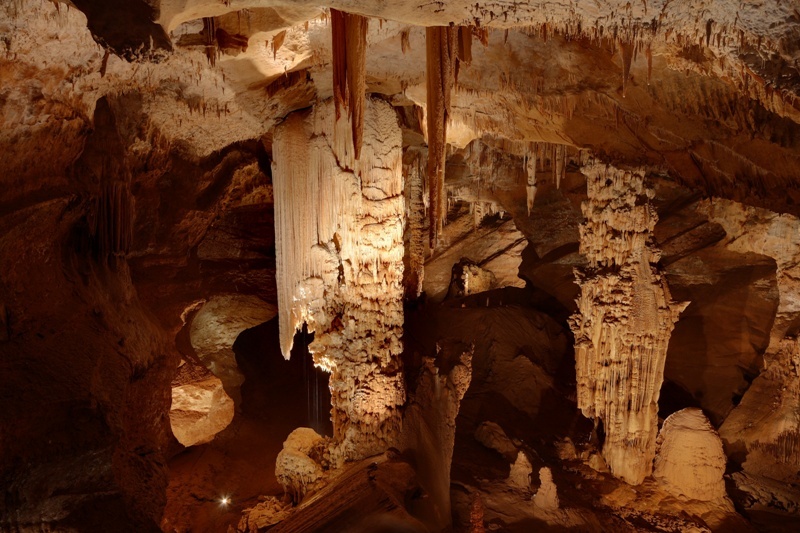 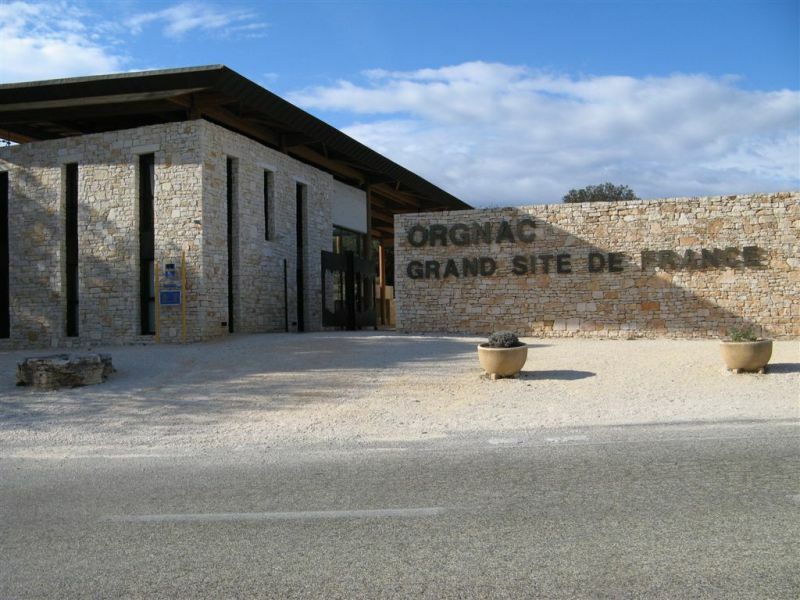 The “Aven” : visit the cave system now a listed “Grand Site of France” where History began more than 110 million years ago and the regional Prehistory Museum. 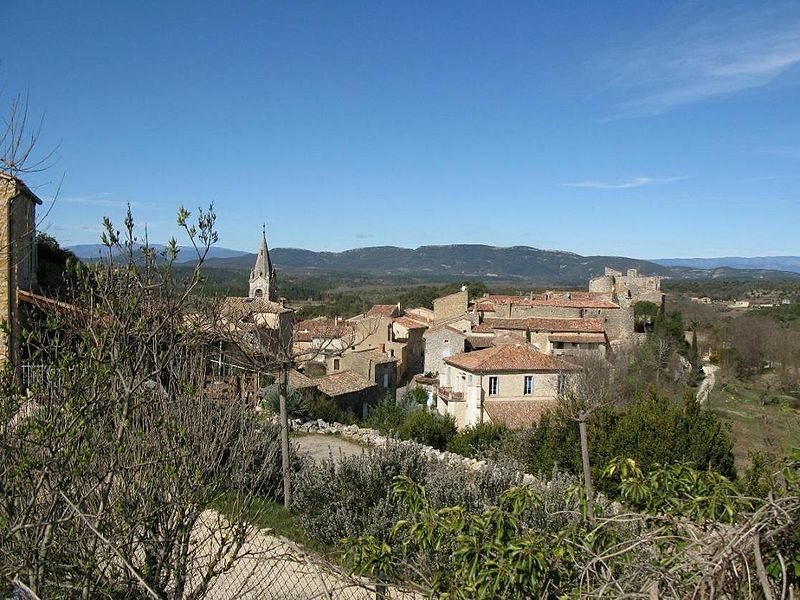 Provencal markets : on Thursday in Vallon-Pont-d’Arc (16 km from Orgnac), on Friday in Barjac (9 km), on Saturday in Pont-St-Esprit (20 km). 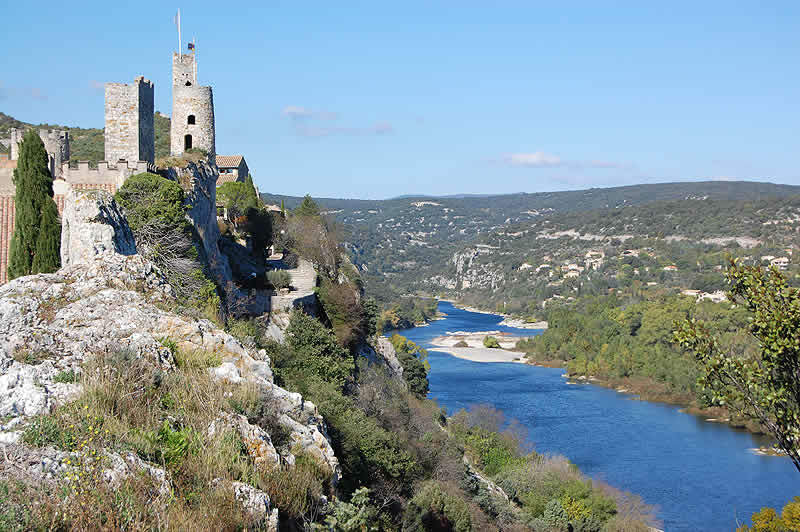 Aiguèze (14 km) is a medieval village perched on a peak, listed one of the most beautiful villages of France and which dominates the Ardeche River. 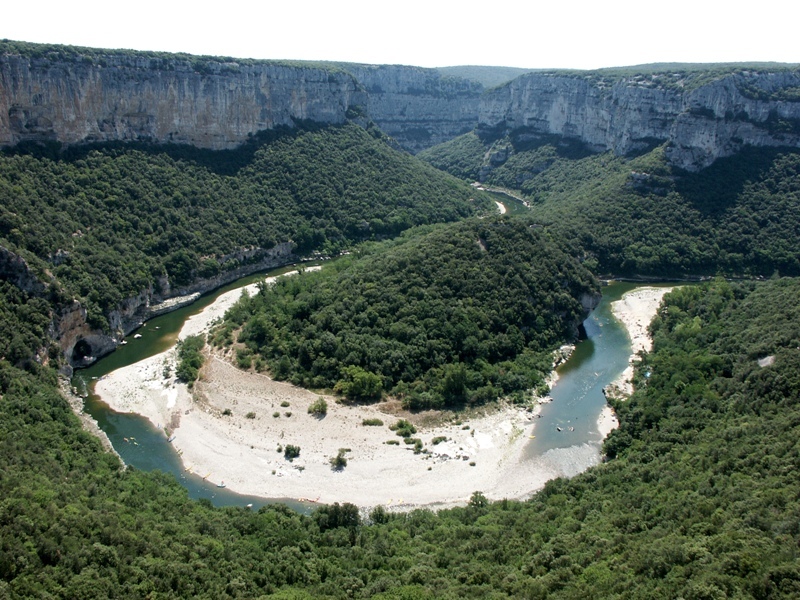 Vallon-Pont-d’Arc, a place of interest not to be missed! 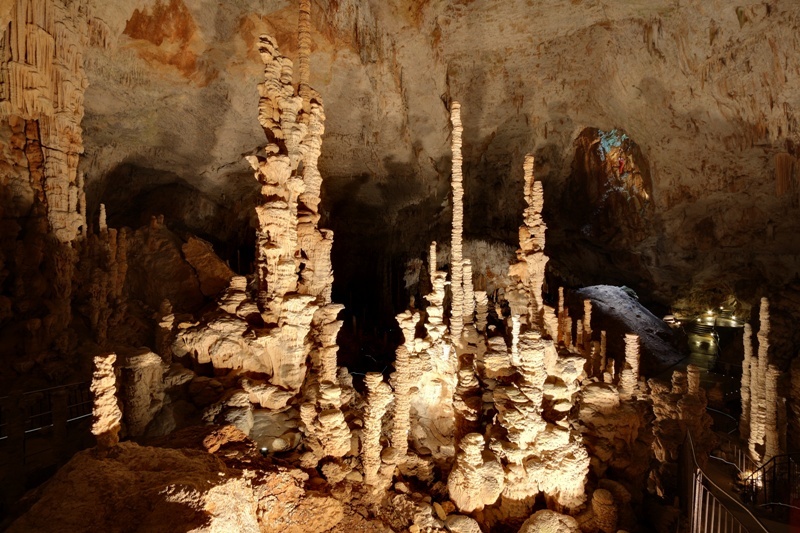 The Pont d'Arc cavern(or the Chauvet cavern). 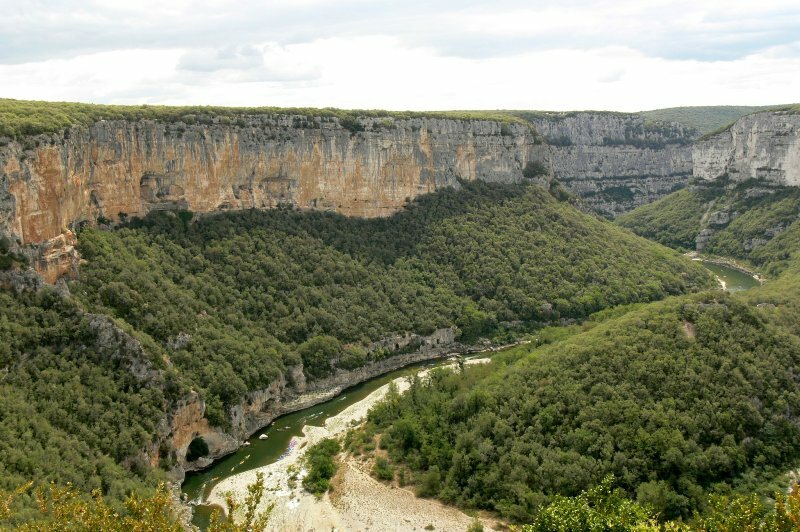 The Gorges de l’Ardèche (12 km): the tourism itinerary snakes in the natural reserve of the Gorges de l’Ardèche, above the dug in limestone canyon. 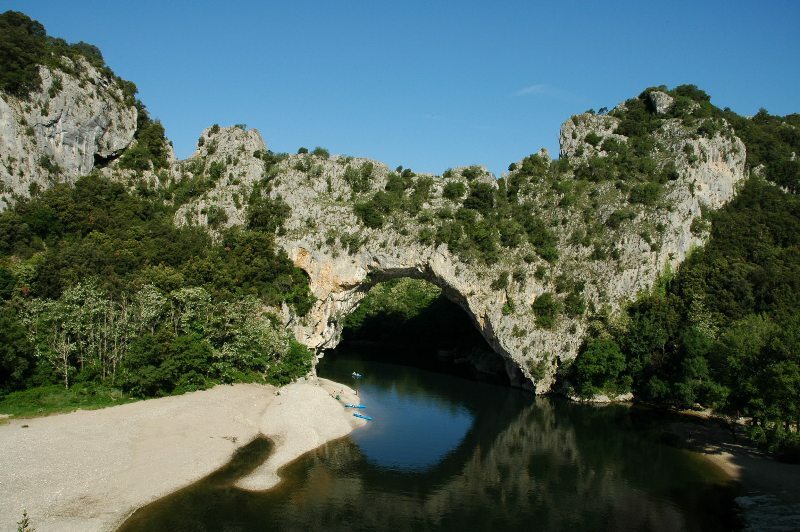 The Pont d'Arc is the natural entrance door of the Gorges de l'Ardèche and the starting point for canoeing on the river. 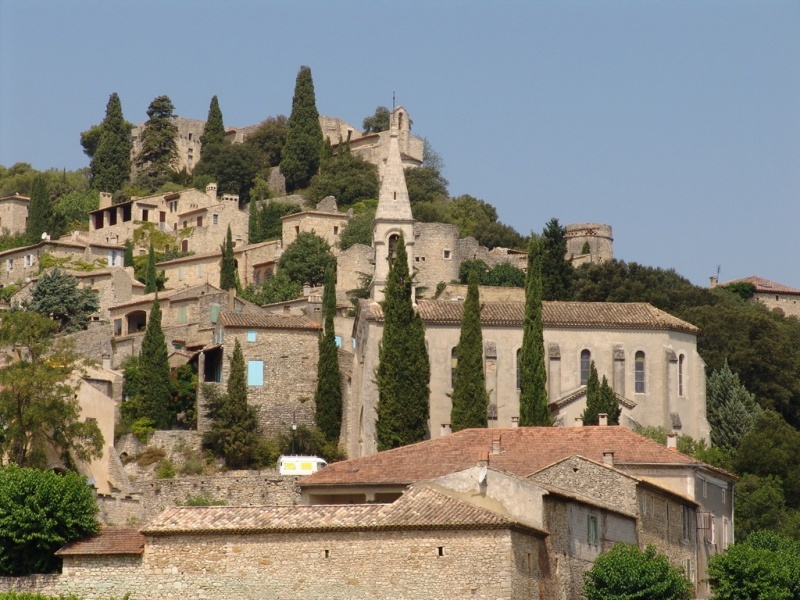 La Roque sur Cèze, charming Provencal village, hung on a peak. 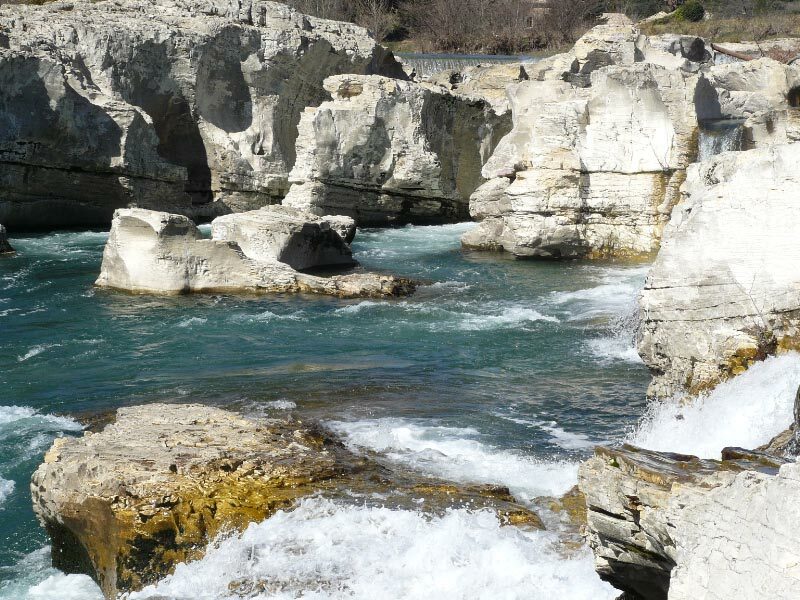 The Sautadet cascades, where the onrush Cèze River dug huge holes. 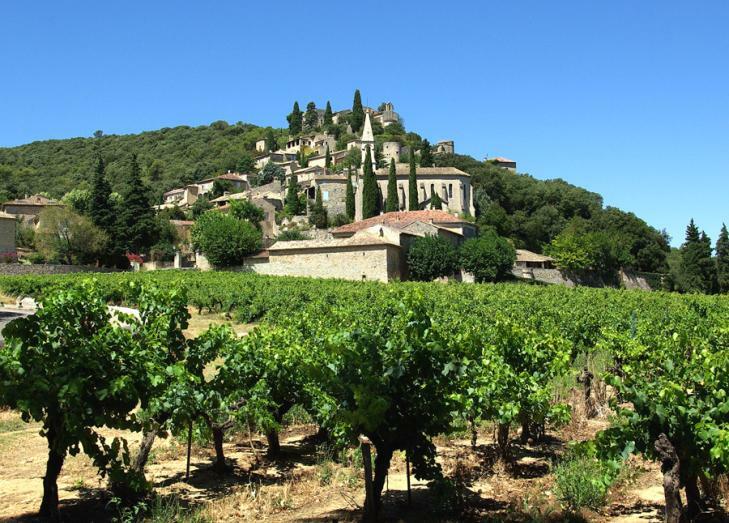 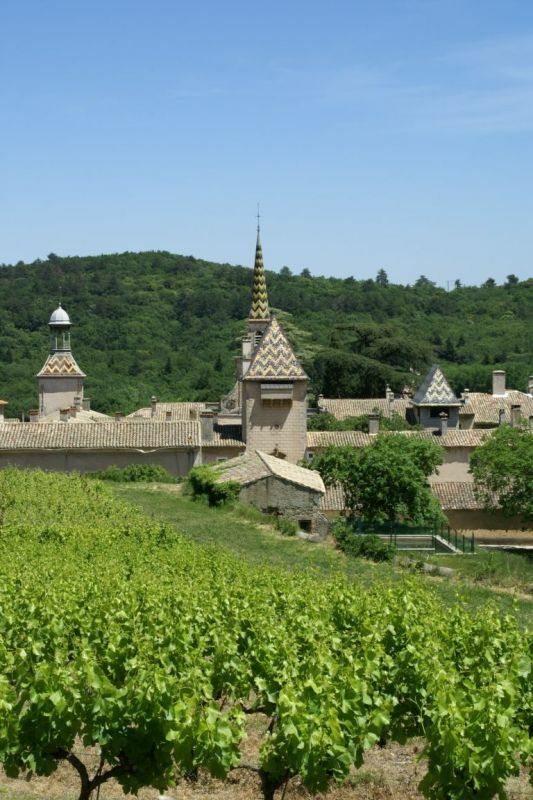 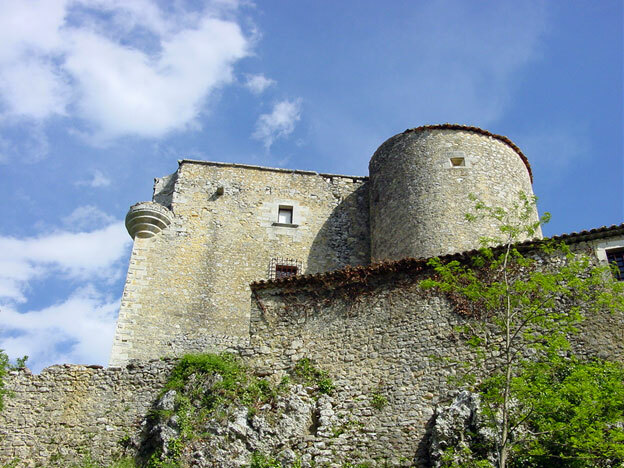 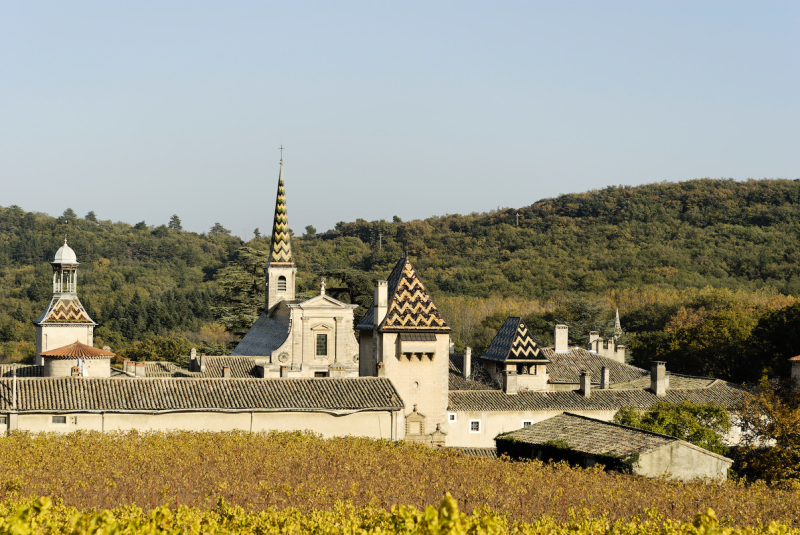 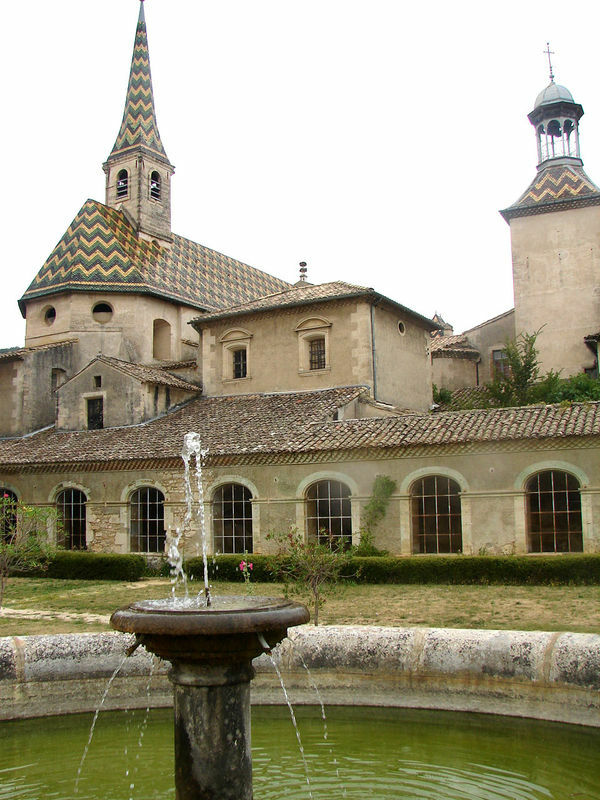 La Chartreuse de Valbonne: visit the 13th century monastery and taste the wine.